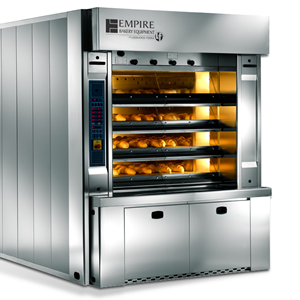 Our Innovation and tradition combine to form Empire's LFKR Stone Hearth Deck Oven. 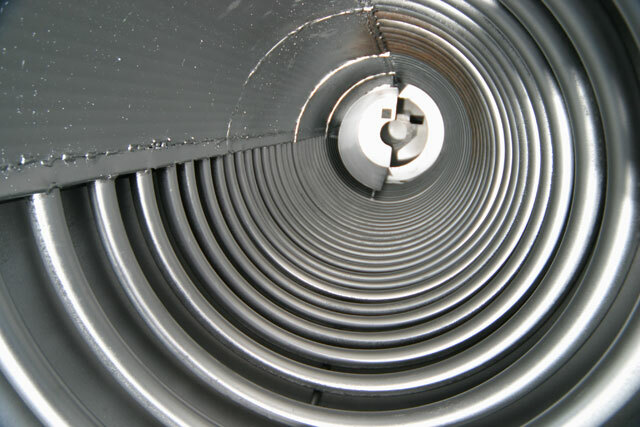 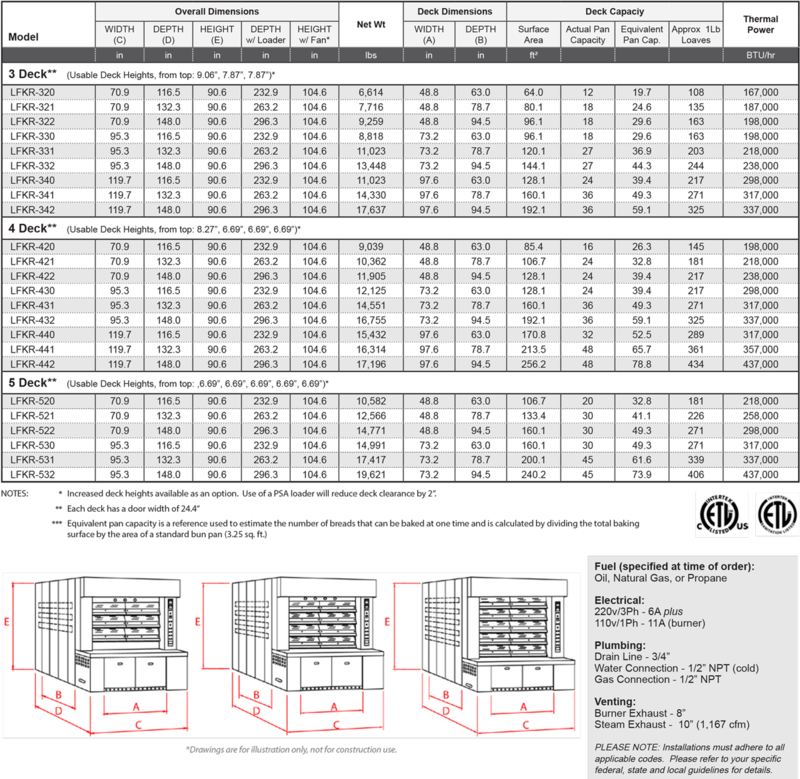 Sturdy, well insulated Mannesmann steam tube systems distribute heat quickly and evenly throughout the oven, allowing it to respond rapidly to temperature change. 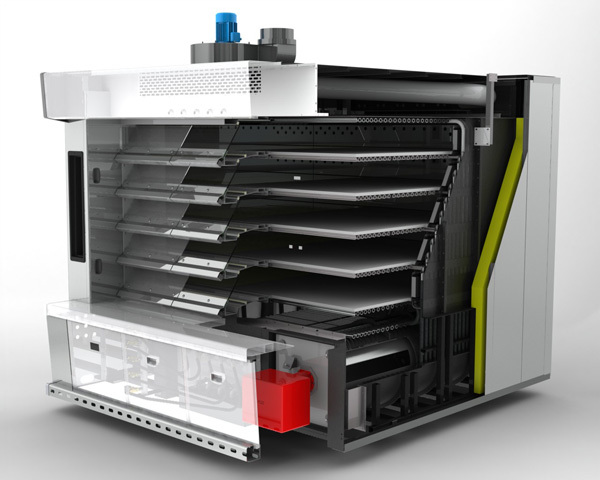 Individual steam generators strategically positioned in the fire box are capable of producing consistent steam for your entire production. 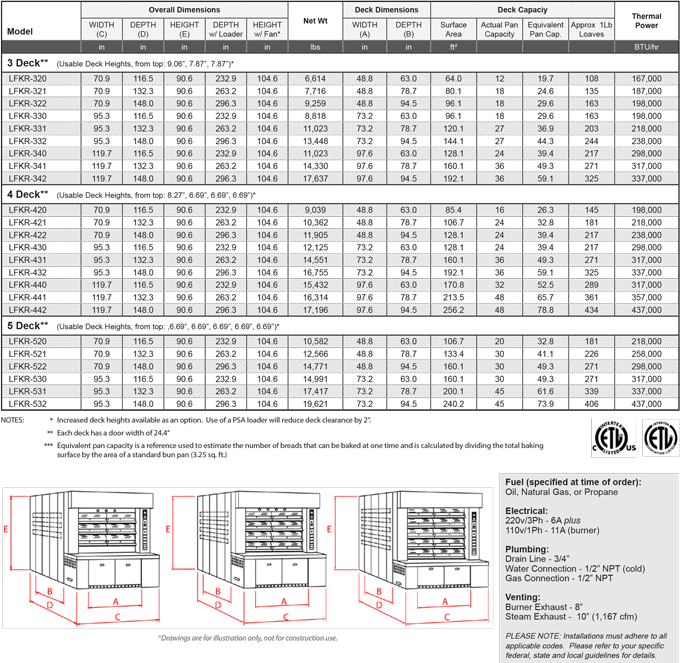 Lighter and smaller than similar ovens in its class, the LFKR allows for easier installation and accessibility in smaller locations. 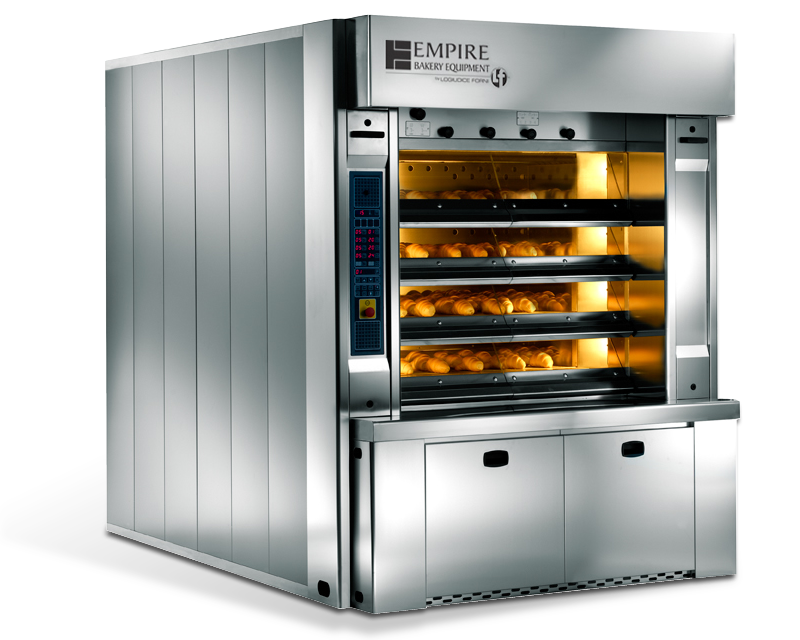 Available in 2, 3 and 4 door models with up to 5 decks, this powerhouse boasts an equivalent pan capacity of up to 74 pans, allowing you to produce nearly 400 loaves of consistent, high quality artisan bread per bake. 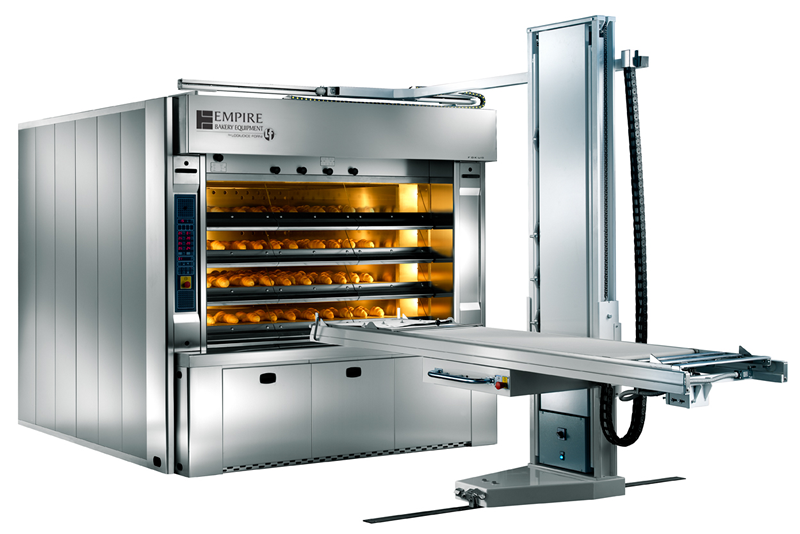 Best of all, our manual, semi-automatic, and automatic loader/unloader requires minimum training to master, making the LFKR Stone Hearth Deck Oven extremely easy to operate.